The dachshund puppies in our home are growing. Today one of them has opened eyes. They are little fat and cute chums. 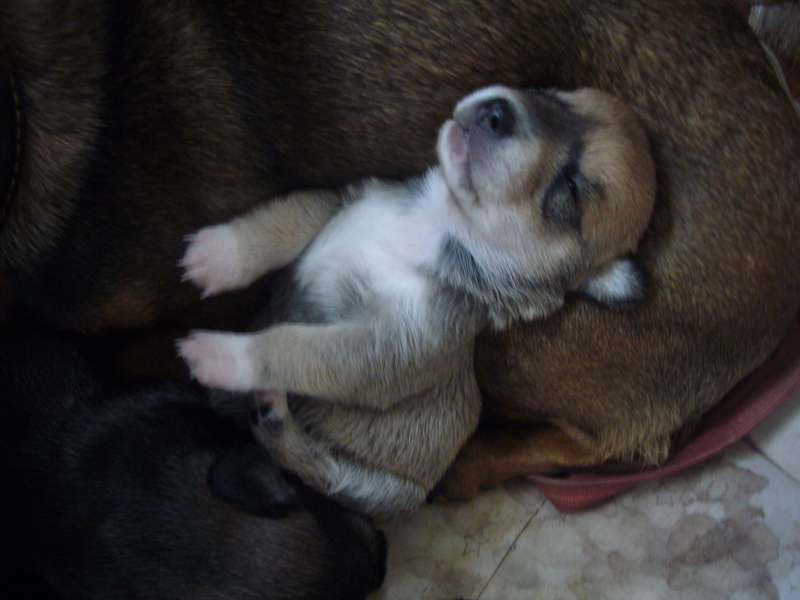 That’s the girl pup and she opened her eyes today. The other dachshund pup is a boy and he is a bit behind his sister. This entry was posted in Uncategorized and tagged dachshund puppies, dachshund puppies pictures, dogs, pets, puppy photo. Bookmark the permalink.